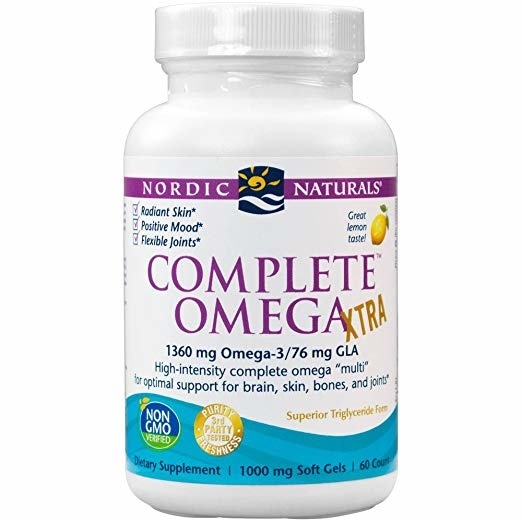 TWICE AS NICE: With more than twice the omega-3s per serving as our standard Complete Omega, this enhanced formulation offers the highest levels of support for cardiovascular function,brain and mood health, and healthy joints and skin. 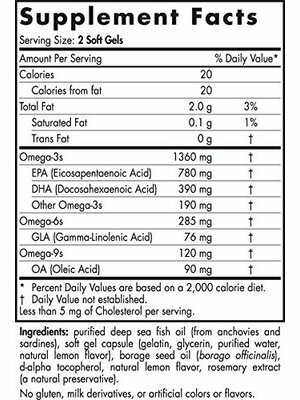 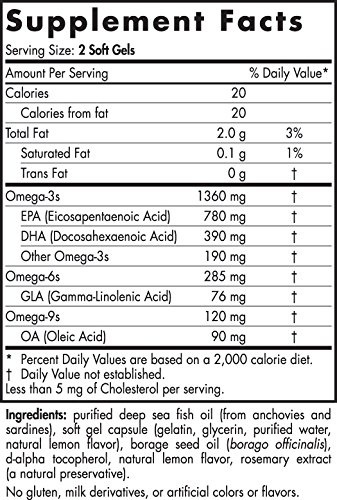 XTRA SUPPORT: Complete Omega Xtra provides full-spectrum essential fatty acid support by combining concentrated omega-3s EPA and DHA from fish oil, with GLA from borage oil, and omega-9. 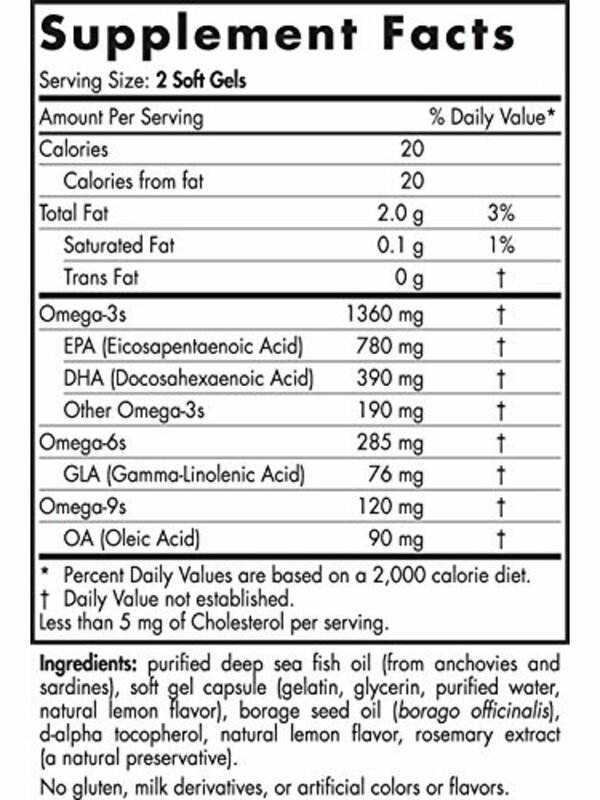 BEST ABSORPTION FOR BEST RESULTS: Many concentrated fish oils on the market are in the ethyl ester molecular form, a synthetic fat with only about 30 years of history in the human diet. 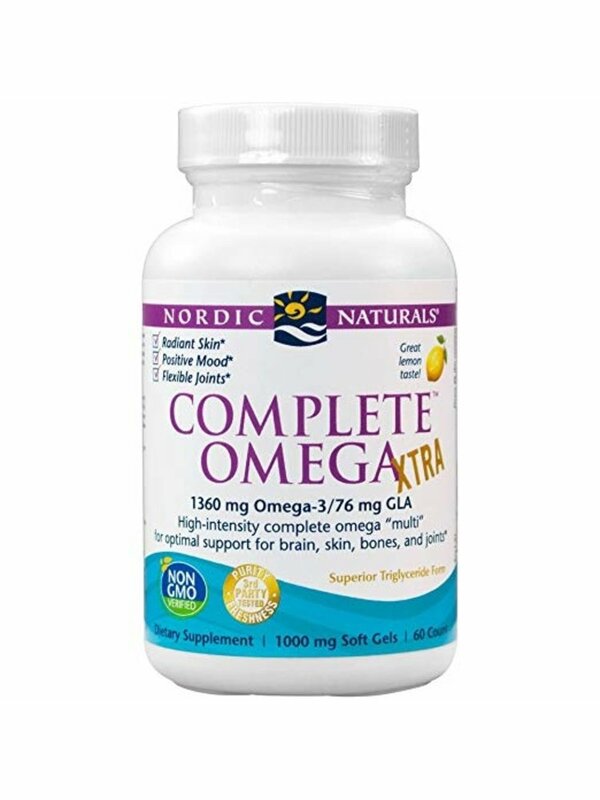 Nordic Naturals formulas are produced in true triglyceride form to support optimal absorption and results.